Dancers! Assume the Position is so biblical, so well-organized, and so well-articulated, that everyone in leadership, or aspiring to enter ministry should have this book in hand. I would suggest that you read it three times. Read it to grasp the wealth of information. Then, read it thoughtfully to understand its principles. And finally, read it intentionally to put the information and principles into practice. Dancers! Assume the Position has totally changed my life. Simply said, this book is a must-have, especially for ministry leaders. I promise if you read it, receive it, and implement it, your understanding, passion, and ministry to another level! 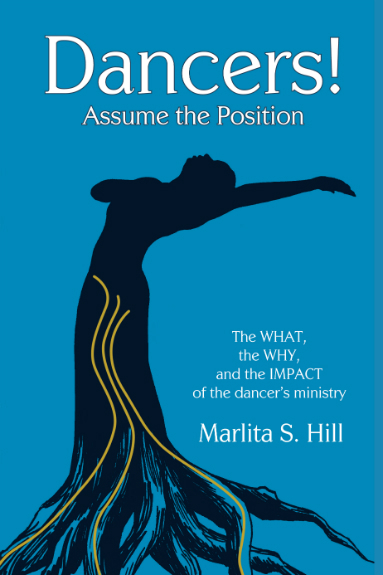 Marlita Hill has captured the very essence of God’s purpose and plan in reaching His people through the vehicle of dance in this book. This book REALLY helped me to put in perspective who we’re serving through dance. It’s not about the moves, what you’re wearing, how high you can kick or how many turns you can do – it’s about being obedient just as God has asked us in order to see His glory revealed. So excited to read and take in this piece! Thank you for the very beautiful routine on YouTube!! Thank you Ariana! I appreciate you reading the book and I’m happy you were blessed by the dance.